Tupelo-Sgt. Lee Jennings Westphal, 38, a patriotic wounded warrior, met his Master on Wednesday morning, October 17, 2018 at North Mississippi Medical Center in Tupelo after an aggressive battle with colon cancer. Lee was born in Tupelo on May 24, 1980 to Greg Westphal, Sr. and Cynthia Boatner Stepp. He attended public schools in Tupelo, Pontotoc and New Albany and Northeast Miss. Community College. Sgt. 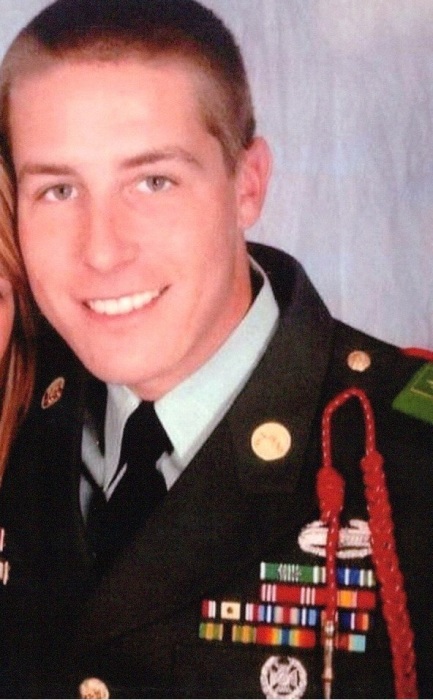 Westphal responded to the call of duty to serve his county by enlisting in the U. S. Army. He served two tours of duty -the Iraqi Freedom Conflict and Operation Enduring Freedom in Baghdad and Ramadi where he was a tank commander and tank gunner. He sustained substantial injuries during his service. An otherwise brave and courageous soldier who would have made the military his life work was 100% disabled and he returned to Tupelo a war hero. Sgt. Westphal won many medals and citations for his service including the ARCOM with Valor, the Iraqi Freedom Medal and the Good Conduct Medal. A doting father who revered his two sons and enjoyed every moment with them, Lee relished his time in the outdoors trail riding on his 4 wheeler and ATV. He was an avid sports fan including being a baseball player and golfer. Lee was a devoted Ole Miss Rebel fan, a Baptist and, foremost, a Christian. He will be sorely missed by many. A service, with military honors, will be held at 2 PM Saturday, Oct. 20, 2018 in the Tupelo Chapel of Holland Funeral Directors with his uncle, Bro. Doug Jones, officiating. His brothers will deliver personal tributes. Burial will follow in the Boatner family plot at Endville Cemetery. Visitation will be from noon-service time on Saturday only at Holland-Tupelo Chapel, which is honored to be serving their friends. The service may be viewed via www.hollandfuneraldirectors.com/Livestreaming at 2 Saturday and for 60 days thereafter. Lee leaves behind his mother, Cynthia Boatner Stepp (Eddie) of Tupelo; his father, Greg Westphal, Sr. of Las Cruces, New Mexico; his beloved sons, Branten Taylor Westphal and Jackson Lee Westphal and their mother, Paige of Jasper, Alabama; the “band of brothers”, Joseph Westphal and Luke Westphal of Tupelo and Alan Westphal (Katie) of Gallatin, Tenn; his siblings in marriage, George Stepp (Lisa), Sam Stepp (Amanda), Katie Sheffield (Andy) and Amanda Ingellis (Chris). 9 very close first cousins whom he adored and spent memorable time with his whole life and his many friends locally and in the military across the country. He was preceded in death by his grandparents Charles (Blackie) and Joanne Boatner, Lt. Col. John and Azalea Westphal and a cousin, Bethany Morse. Pallbearers will be special family members, Brian Boatner, Jordan and Denny Morse, Luke, Joseph and Alan (G) Westphal, Chris and Jason Sheffield. Memorials may be made to the Wounded Warriors Project, 4899 Belfort Rd., Suite 300, Jacksonville, Fla 32256 or to the Fisher House Foundation, Inc., 12300 Twinbrook Parkway, Suite 410, Rockville, Maryland, 20852.